Aqualite: Mineral information, data and localities. The name alludes to its composition. 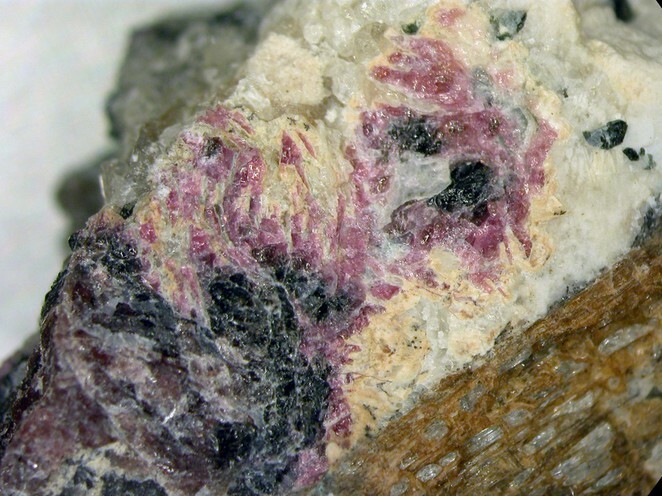 A.E.Fersman Mineralogical Museum, Russian Academy of Sciences, Moscow, Russia, catalog no. 2668/1. Nepheline 4 photos of Aqualite associated with Nepheline on mindat.org. Aegirine 4 photos of Aqualite associated with Aegirine on mindat.org. Pectolite 3 photos of Aqualite associated with Pectolite on mindat.org. 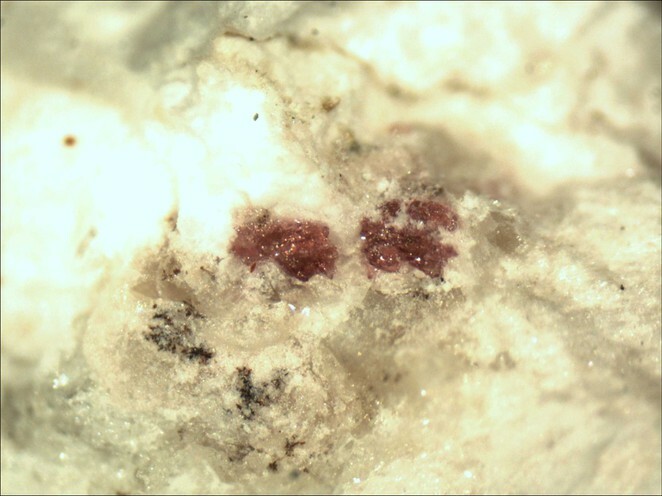 Eudialyte 2 photos of Aqualite associated with Eudialyte on mindat.org. Lamprophyllite 2 photos of Aqualite associated with Lamprophyllite on mindat.org. Magnesio-arfvedsonite 2 photos of Aqualite associated with Magnesio-arfvedsonite on mindat.org. Feklichevite 1 photo of Aqualite associated with Feklichevite on mindat.org. Nonfluorescent in short-wave UV, but fluoresces pale yellow in long-wave UV. Decomposes readily in 50% HCl and HNO3 at room temperature. 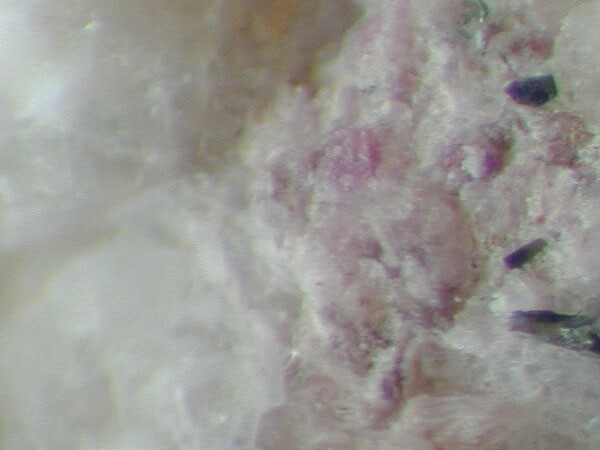 Khomyakov, A.P., Nechelyustov, G.N., Rastsvetaeva, R.K. (2007): Aqualite, (H3O)8(Na,K,Sr)5Ca6Zr3Si26O66(OH)9Cl, a new eudialyte-group mineral from Inagli alkaline massif (Sakha-Yakutia,Russia),and the problem of oxonium in hydrated eudialytes. Proceedings of the Russian Mineralogical Society (Zapiski RMO), 136(2), 39-55.